The day started fantastic. I slept in like there was no day. I got up around 10:30 and stuffed around for a while before the other guys got up. Casper (I don’t think I mentioned him yet. He is Anders’s housemate) went to the shop and got bacon and we had a full cooked breakfast of eggs, bacon, tomato and toast. We didn’t finish eating and cleaning up until around 1:30 and I didn’t leave the house until 2. I took a bus back into the centre. It wasn’t the same bus so I wasn’t sure where it was going but I just got off when I saw something that looked interesting. I just walked around. There was nothing in the city that I wanted to see in particular and I was just happy walking around the almost deserted streets. It was Sunday so the only places that were open was the places that sold food. As I didn’t have a direction in mind, I could stop whenever I wanted. I eventually came across The Old Town. The reason I put it in capitals is because it is actually a place that you visit and pay to get into. 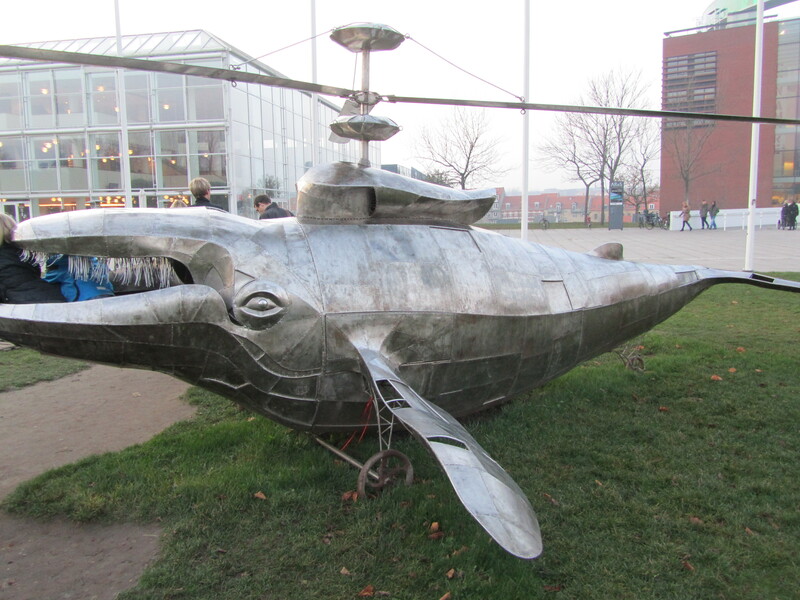 I had heard about it and is one of the main attractions of Aarhus. What they did was de-constructed buildings from all over Denmark and rebuilt them in this one place. I thought it was a pretty good idea and so I did want to see it. When looking for the entrance, I walked around the ‘wrong’ way. It really wasn’t the wrong way. Around the back is a huge park with several different… displays I guess is what you would call them. I walked around this place for ages. There was heaps of people out, enjoying the sunshine and I just loved the atmosphere it made. There was a full size windmill on one side of the park and they were building some kind of dome-like structure as well. 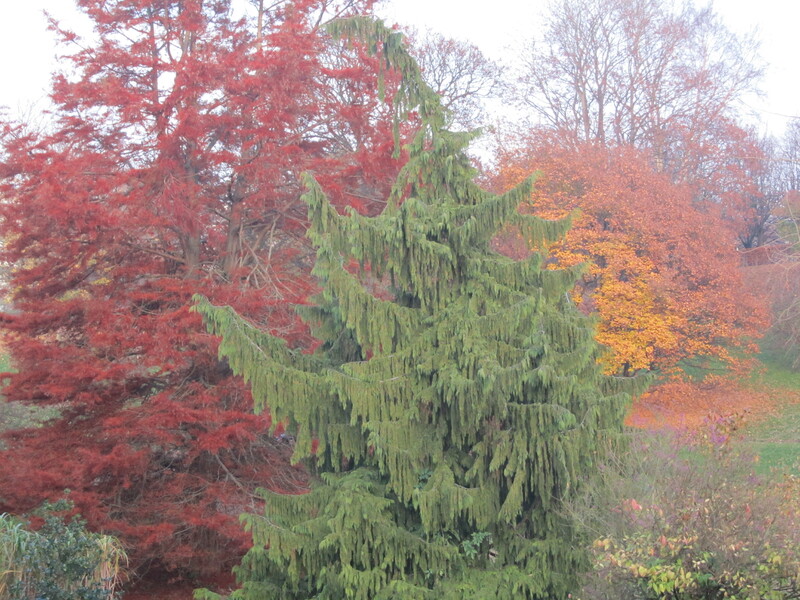 But the colours of the park was super cool as well. 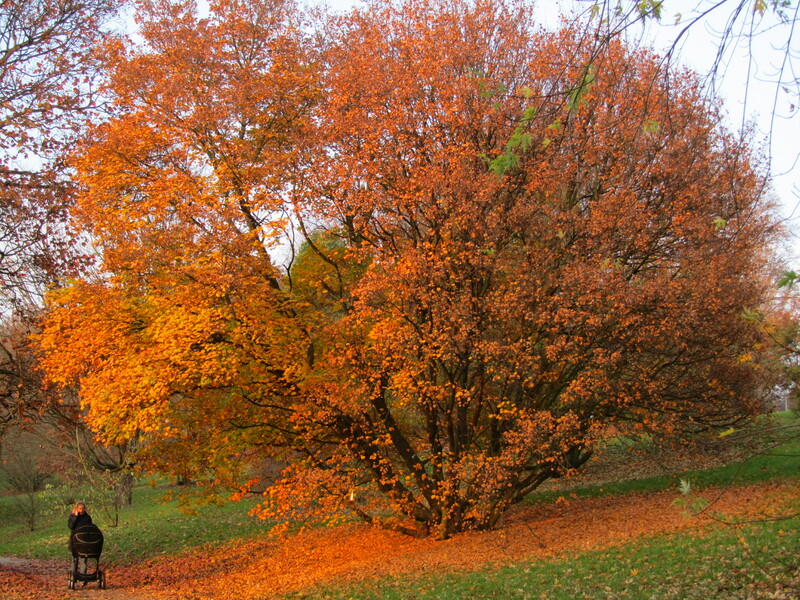 Many of the trees had lost all their leaves but the ones that were a bit late just added so much colour. Yellow and brown and green grass and blue sky and even a red tree. There were a couple of ponds where people were feeding the ducks and the seagulls. After walking around for maybe an hour, I decided to see how much it was to get into The Old Town. I found my way around, and decided it was too much. You could see into it over the low walls and so I didn’t feel the need to actually go in. Seemed a little pointless. From there, I started walking in a direction again. The sun had started to go down, in fact it was pretty much gone, so it was getting cold. 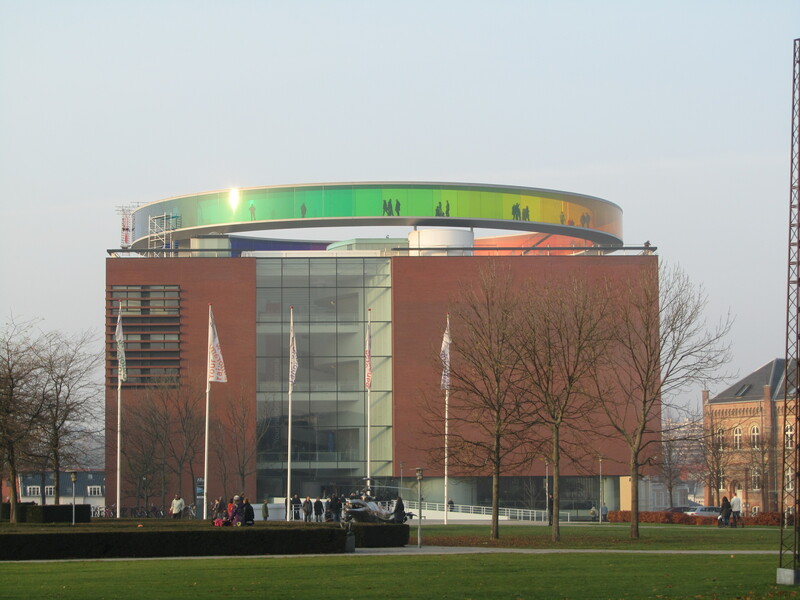 I found the art museum, which isn’t hard because it is a huge building with a large, multi coloured halo over its roof. I did go inside but that is because it is free but if you want to go off the path that went through the middle, you have to pay an entrance fee. That included going up in the giant halo. I left the museum with the intention of going home. It was almost dark and I had been walking for several hours. My bus to Anders house was going to be about 30 minutes so I went and sat down with a coffee. The place actually had my coffee of choice on the menu, Macchiato, but they didn’t quite make it right. Had too much milk/foam. So close guys, to a great coffee in a cafe. Something that is very hard to come by. Oh well, points for trying.